If you’re a big pizza frittata fan, you should check out our Best Pan Pizza! There is no other food quite as magical as a Pizza Frittata. It’s practically a unicorn; above all delicious, but also inexpensive, faster than pizza delivery or takeout, reasonably nutritious, and able to please them all. 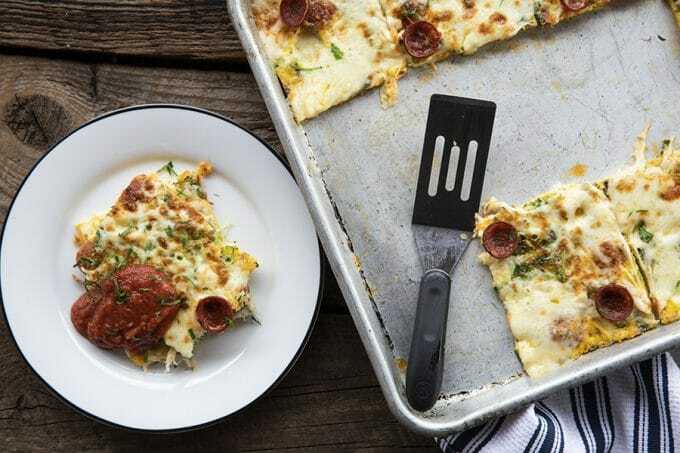 Pizza Frittata: delicious slices baked egg with spicy pepperoni, flavourful green onions and fresh parsley, and melted mozzarella cheese throughout. We don’t stop there, though! We also top it with more grated mozzarella and pepperoni and give it a quick run under the broiler to melt the cheese and crisp up the pepperoni, then serve it with marinara or pizza sauce. Talk about comfort food! And if it matters to you, it’s low-carb, to boot! I love frittatas, and whether you bake them in the oven or use the classic method of starting them on the stove top and finishing them in the oven, they are a seriously fast food to throw together. But here’s where my usual problem comes into play. Someone bleeds from the head. Yes. They have all happened simultaneously at the most inconvenient times. It’s one of the side effects of having four teenaged sons at home. Although, quite frankly, I can’t think of a good time to have one child bleeding from the head, another screaming, and something being broken while someone is door-to-dooring for whatever nefarious or enlightened purpose… It is just life. 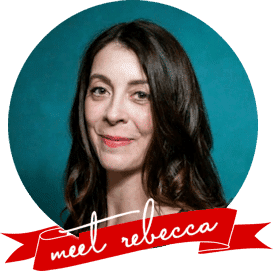 Added to that I’m usually caught mucking around the house in my flannel jammies or with a piece of tissue stuffed in my nose because I am classy, people. I guess all those together are troublesome enough without introducing a skittery frittata to the mix. In short, right when I’m supposed to be paying the most attention I am forced away from the pan. And that makes frittatas not so convenient. How do I make a baked frittata? And that is where a baked pizza frittata really shines and takes ease to the next level. You dice the cheese, chop your green onions and parsley, and toss them over a well oiled half sheet pan. Mix your eggs, dairy, and spices, then pour it over the stuff on your pan and bake it. Not that a stove-top frittata is hard, per se, but the standing there and paying attention? Some nights that’s just not in the cards. The beauty of this recipe is not just confined to it’s hands-off convenience. It is also almost infinitely adjustable. If you follow the basic egg/cream ratio you can substitute just about any ingredients. 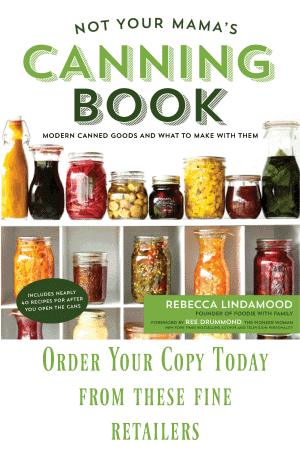 I love recipes that are more formulas with interchangeable parts than hard-and-fast-do-it-this-way recipes. It allows me to be both more creative and less wasteful with my family’s food resources. And because it’s wonderful hot, cold, or anywhere in between, pizza frittata makes a great high-protein snack for anyone who needs one. I was going to say ‘for the kiddos’, but I need a high-protein snack as often as they do. That makes grown-up, healthy snacking easier, too. Don’t you just love it when things make your life easier? Serve a pizza frittata with a simple salad, or go all out on the pizza theme and serve it with this crazy good Pizza Salad. If it’s just you and the kids for the night, add a jug of delicious ginger switchel. 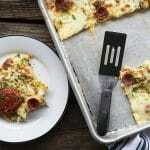 If you’re having friends over -because Pizza Frittata is totally company worthy and leaves plenty of time to visit and hang out- accompany it with a batch of Berry Kombucha Margaritas, Lady Greyhound Cocktails, or Mixed Berry and Basil Sangria-by-the-Glass. And since you saved all that time with a simple dinner, how about some dessert? You could finish up the meal with easy, delicious Cinnamon Toast Cake, Selfish Bars,Old Fashioned Double Chocolate Mocha Pudding, to keep it simple. Alternatively, you could finish up with a spectacular Snickerdoodle Cake with Brown Sugar Cinnamon Buttercream. The very best pan for this job is a half sheet pan. If you need one, you can buy one here. You can, of course, use a different rimmed pan, but the times on this recipe were established using a half sheet pan. When it comes to choosing mozzarella for our baked pizza frittata, I advise using a brick of part skim mozzarella. It melts beautifully and tastes delicious. Don’t bother with fresh mozzarella (unless you’ve made it yourself) because it’ll get a little lost here, and the brick cheese works great for a fraction of the price. In the recipe, I specify dicing some of the cheese and grating some. That isn’t strictly necessary; you could grate it all. I just like the pockets of melted mozzarella that you get with some of the cheese being diced. You can definitely downsize this recipe if you think it’s crazy to use an entire dozen eggs, but I don’t advise it. 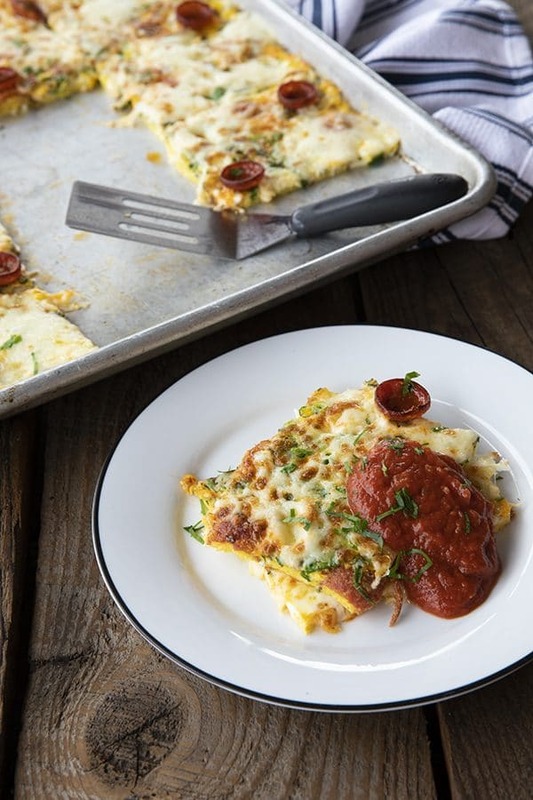 Having leftover Pizza Frittata will make your next meal that much easier. Slide a slice of it between two pieces of bread, or tuck it into a wrap with some arugula for an amazing lunch. Eat a slice cold or room temperature for a memorably satisfying snack. 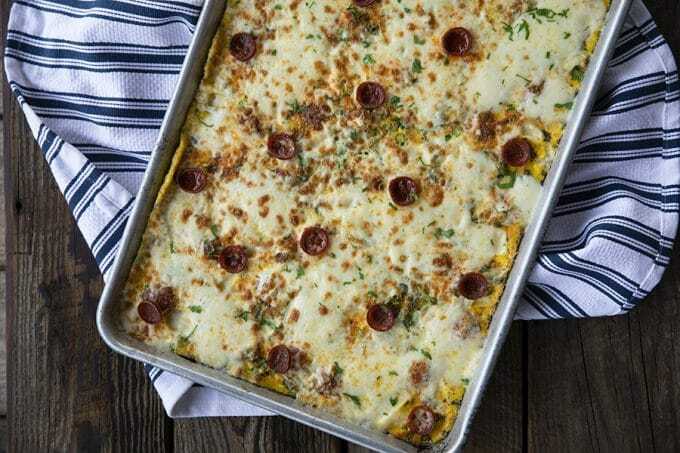 A Baked Pizza Frittata can be prepared ahead of time and reheats like a dream, but I don’t recommend freezing it. I find the texture suffers a bit on thawing. As a resident of the Buffalo area, I’m pretty keen on spicy cup pepperoni, but any thinly sliced pepperoni you like for pizzas should work here. Thick cut pepperoni is not ideal because of the quick cooking time of Pizza Frittata. Preheat oven to 300°F. Generously grease a half sheet pan, taking care to get into the corners and creases and up the edges of the pan to ensure an easy release of the finished pizza frittata. Crack all eggs into a large mixing bowl (preferably one with a pouring spout) and whisk lightly. You don’t need to have everything perfectly even, but you should have the yolks broken up and partially mixed into the whites. Set aside. Add the heavy cream or milk, salt, Italian seasonings, basil, oregano, and pepper and whisk until smooth and even. Evenly distribute 16 of the pepperoni slices across the bottom of the pan. 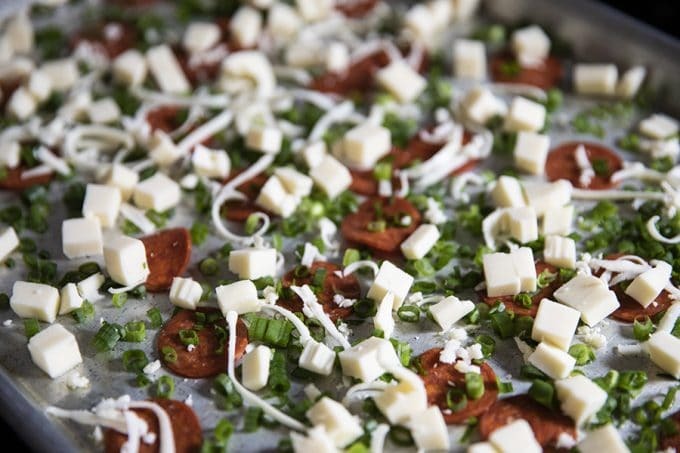 Scatter the diced cheese over the pepperoni, followed by the green onions. Pour the egg mixture over the pepperoni, cheese, and green onion. Tap the pan on the counter a couple of times to help evenly distribute the egg mixture. Place pan on the center rack of the preheated oven and bake for 15 minutes, or until the eggs are set and not wet when you touch them. Remove the pan from the oven and turn the oven to Broil. Scatter the grated cheese evenly over the top and arrange the remaining pepperoni over the cheese. Return the pan to the oven until the cheese is melted and lightly browned in places and the pepperoni is crisp around the edges, about 3 minutes. Slice into squares and serve with marinara sauce. This is fantastic, hot, cold or anywhere in between. Pizza Frittata: delicious slices baked egg with spicy pepperoni, flavourful green onions and fresh parsley, and melted mozzarella cheese throughout. We don't stop there, though! We also top it with more grated mozzarella and pepperoni and give it a quick run under the broiler to melt the cheese and crisp up the pepperoni, then serve it with marinara or pizza sauce. Preheat oven to 300°F. Generously grease a half sheet pan with olive oil or butter, taking special care to get into the creases and corners and up the edges of the pan. Set aside. Crack all eggs into a large mixing bowl (preferably one with a pouring spout) and whisk lightly. You don't need to have everything perfectly even, but you should have the yolks broken up and partially mixed into the whites. This post was originally published April 2009, recipe, post, and photos updated January 2019.
love the bundt pan addition to this. Yum! This looks delicious. I can’t wait to try it. I love frittatas but I’ve never thought about making a pizza version. May- don’t let the 12 eggs scare you, frittatas taste great as left overs the next day. May- It is really good! I’ll echo what Mrsblocko said below your comment. Don’t fret leftovers on this since they’re really good for instant snacks, lunches and breakfasts. Please let me know how it goes for you. Janel- It’s perty, isn’t it? Mrsblocko- Thank you. The whole pizza frittata idea was a ‘lightbulb over the head’ moment. It is not-so-secret knowledge that I am obsessed with everything pizza. Why I didn’t do this earlier is beyond me! I hope your crew likes it! This is the exact frittata recipe I have been looking for! I don’t really care for eggs on their own, but I love really eggy breads; I had a roll a few weeks ago that looked almost exactly like this. I have to try this! Katie- You nailed it! It really is like eggs crossed with bread. So good and so easy. I hope you enjoy it! Amy- Sure! Come on over. I’ll save you a piece. Wow! This looks freakin awesome. I’ve been looking to make something different for dinner and this should do just fine. I think some other variations might be nic to try in the future.. maybe cheeseburger or taco. Went out and bought a pan since I didn’t have one. I was all psyched to try this, but in the end I must say I didn’t care for it at all. The texture was nice and it came out perfect, but it hardly had any flavor. Maybe it needed more salt, or maybe more of the seasonings, I’m not sure. It also needed a crap load more pepperoni. Instead of 15 – 20 slices as it calls for I should have just put the whole package in. I’d love to try this! Looks soooo goooood! How long do I bake this?? I didn’t see how long. Thanks guess who was excited an wanted to hurry up and make one????? Duh..